A really compelling proposal: Normal life as a full-time job. A really compelling proposal: Normal life as a full-time job. 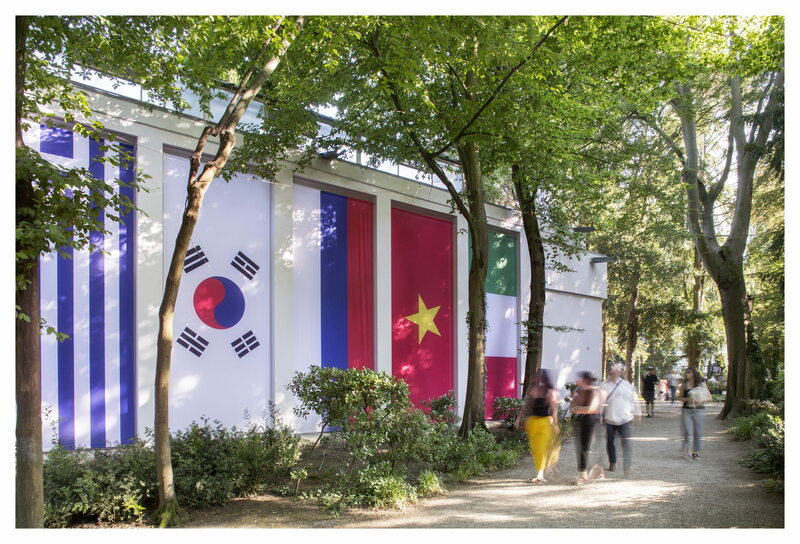 This is the theme of the Czech Republic and Slovakia Pavilion, curated by artist Kateřina Šedá, and which uses great finesse to investigate the issue of normality in UNESCO heritage cities where tourists cannibalise places and life of the inhabitants. Tourism as a blessing or a curse is one of the themes at the centre of the Czech Republic and Slovakia Pavilion, curated by artist Kateřina Šedá, at the Giardini of the Venice Biennale, in a city that is plagued by the same problem, as we presented to Floornature's readers through Italo Rondinella's photography research (link). UNES-CO (United Nations Real Life Organisation) is a fictitious company founded by the artist Kateřina Šeda for the 16th International Architecture Exhibition – La Biennale di Venezia. The Czech name of the organisation, "CO město UNESE" comes from a play on words. The phrase might be translated as UNES = bear, CO = 1) corporation or 2) what. The impetus for creating it was the plight of cities and towns on the UNESCO World Heritage List that are overburdened by tourism, where the negative effects include, for example, the depopulation of historical centres and the relocation of local residents. It is based on the analysis of the goals of these two organisations with practically the same name: for UNESCO it is “Building peace in the minds of men and women”, for UNES-CO “Building normal life in the minds of men and women”. So the main goal of UNES-CO is to strive to conserve a semblance of normal life for the local population in the centres of cities where mass tourism endangers the everyday activities connected to life in urban centres, such as enjoying the fresh air on a park bench, taking out the garbage or travelling to work. But since we do not live by good intentions alone, the curator and founder of UNES-CO has a concrete proposal: to offer new jobs to preserve the so-called endangered activities. The first city where these jobs were established and that you can actually apply for is Český Krumlov, a popular tourist destination in the first member state of UNES-CO, the Czech Republic. UNES-CO will pay wages to its employees for full-time or part-time employment and, in some cases, work-linked accommodation in the city centre from June to August 2018. The job description and the vacancies clearly indicate that those concerned must visibly engage in a normal life. The Czech Pavilion was recommended to us by Christine Edmaier, president of the Berlin Architects' Association during our event (link), and it uses a charming light-heartedness to tackle a very controversial issue, the price locals pay for mass tourism because often they don't benefit from the business tourists bring, be it in financial or other terms. Behind this rather bare pavilion, especially if you visit it after the opulent French one, there is a great deal of creativity and courage because singing the praises of normality at a time in history when it is practically an insult, is certainly not easy but it's a conversation we need to have if we want to find a happy medium. What better place than Venice to address this issue?